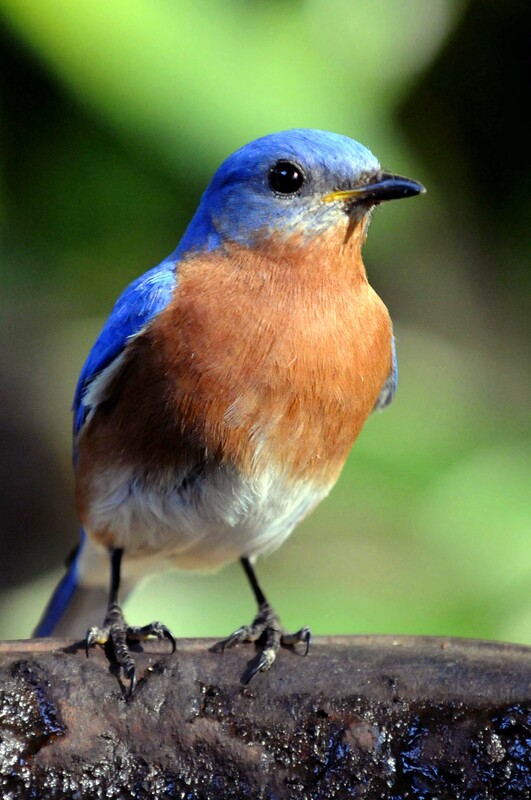 Yesterday, my late afternoon was filled with my favorite pastime – photographing bluebirds. 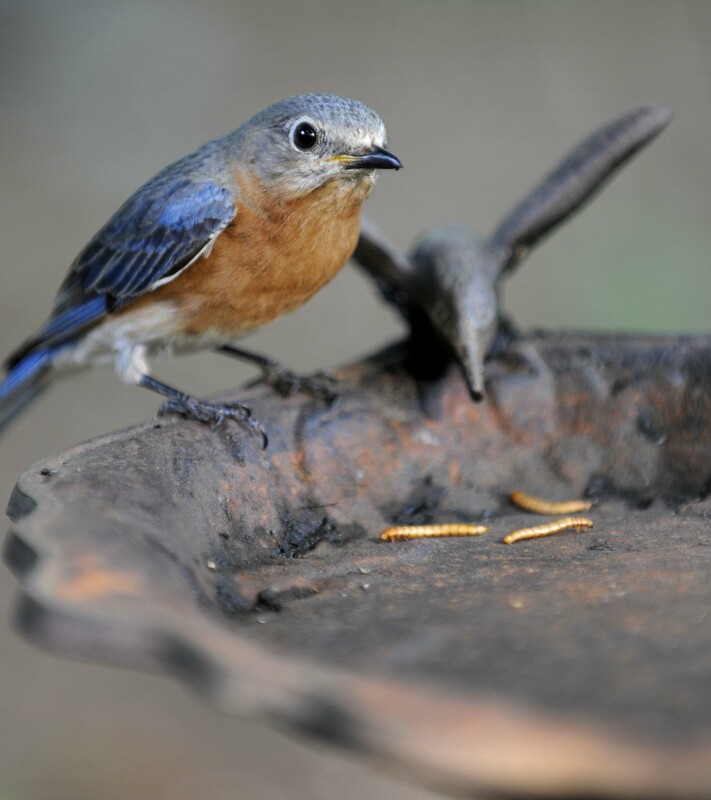 I brought out the mealworms (for those unfamiliar – beetle larvae) and placed some in a cast iron birdbath. I had parked myself fairly close to the tray and was doubtful the bluebirds would come with me at such a close proximity. Even though these beautiful feathered creatures are very people friendly, five feet is extremely close for even the bravest birds seeking a nutritious treat. It wasn’t long before mom and dad arrived. Mom was skittish, but dad wasn’t very skeptical at all. Over the next few hours I spent about $8 on mealworms and made over 150 images of my fav two. While I was contemplating the hour and the quickly fading lighting, I suddenly heard a collection of chirping birds in the trees around my back yard. The sounds were a little shrill and the numbers of participants seemed to be mounting. 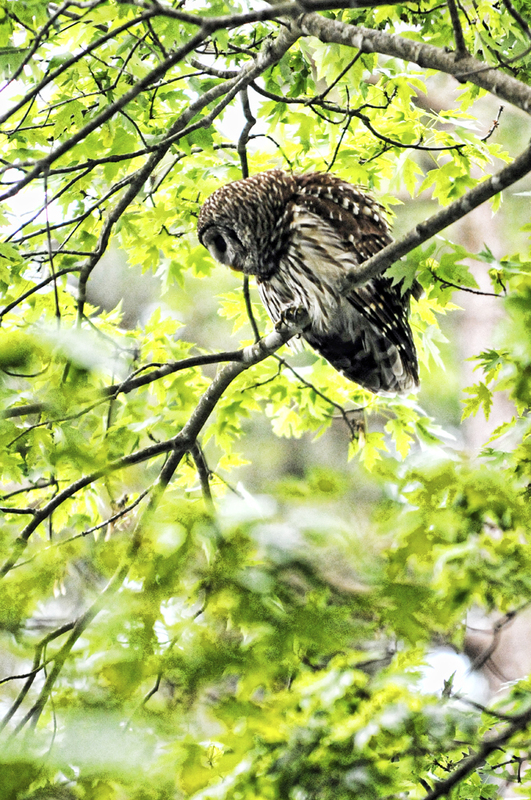 As I walked into the back yard to see what was causing this neighborhood meeting, I spotted a large owl squatting on a branch in the rear of my yard. With his head rotating in almost 180 degrees, he was obviously searching for a little early sustenance (since owls are nocturnal, this was his first meal of the day). I went back for my trusty Nikon. While I was working to get the exposure compensation correct, I heard a screech and looked to see a hawk dive bomb the owl and circle almost to taunt this massive feathered flier. 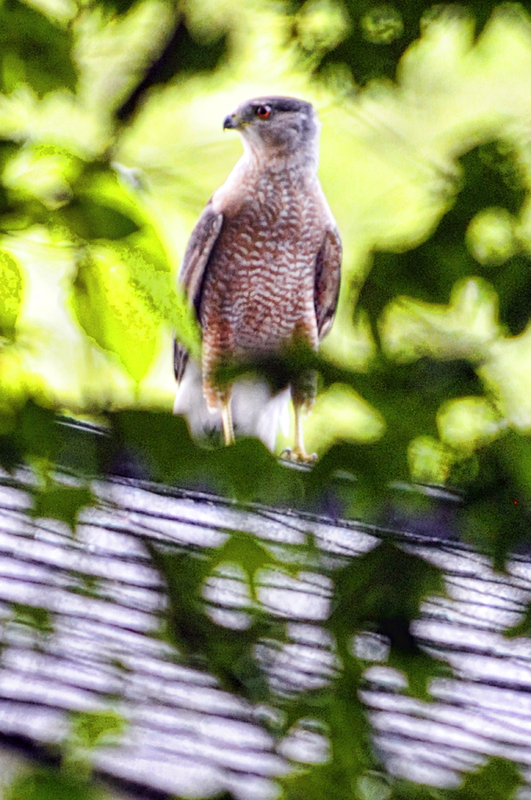 After declaring his disdain for the hefty noctambulist, this keen Accipiter perched on my neighbors house continued to heckle the owl. Finally, the Great Grey Owl had endured enough. He left his perch and gave chase to the hawk as both birds of prey disappeared into the wooded landscape. Photos copyright 2012 Jim LockmanClick!